Workshops Will Help Deliver Work-Ready Interns for Area Employers. KING OF PRUSSIA AND DOWNINGTOWN, PA (September 30, 2013) – MidAtlantic Employers’ Association today announced a new initiative with Downingtown STEM Academy to help prepare students as future employees with the “real life” skills needed to succeed in the workplace. Beginning October 23 and running through January 2014, MidAtlantic Employers’ Association will facilitate training workshops for freshmen, sophomores, and juniors attending Downingtown STEM Academy. MEA business trainers will lead non-technical skills workshops focusing on communication, time management, and overcoming obstacles, among others. MEA’s business-experienced facilitators will engage and interact with students to make the workshops student-centered, applying effective training techniques to make the knowledge stick. Time Management for Freshmen: How to Juggle It All – This workshop teaches time management skills to help freshmen juggle myriad responsibilities, such as classes, homework, extracurricular activities, family, and after-school jobs. Success Strategies for Sophomores: Overcome the Obstacles! – This workshop covers how to bounce back from failure. Sophomores will learn that obstacles are inevitable, but there are ways to cope successfully. Professional Tools for Juniors: Putting Your Best Foot Forward – This workshop will prepare juniors to enter the business world with practical advice on networking, selling yourself in an interview, and understanding the workplace. 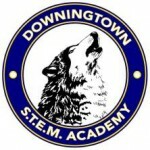 Opened in 2011, Downingtown STEM Academy offers specialized curriculum in science, technology, engineering, and mathematics (STEM). In addition, the Academy requires students to participate in career explorations with area businesses. Y Prime, a technology and software solutions company based in Malvern, Pa, was one of several MEA member companies that participated in Downingtown STEM Academy’s career exploration program this past summer. “MEA applauds Downingtown STEM Academy for listening to employers and implementing these workshops to help prepare students to be successful employees,” said Robins. MidAtlantic Employers’ Association is the region’s only non-profit association dedicated to helping successful, growing organizations manage their workforce needs, stay current and compliant, and attract, retain and motivate their talent. MEA is the region’s leading provider of public and onsite supervisory and leadership training and development. With a current enrollment of 800 students, 200 in each of grades 9,10, 11 and 12, the STEM Academy opened its doors in 2011. A district magnet school, the Academy is designed to attract academically diverse students with significant interest in STEM fields. A one-to-one laptop initiative school, the Academy offers an academically challenging program of study that exposes students to a variety of science and technology courses and employs the International Baccalaureate (IB) curriculum. In addition to various learning opportunities in the classroom, the Academy also facilitates STEM related career exploration for all students through its community partnerships. The Board of School Directors provides oversight of the Academy. An advisory board comprised of area business and industry professionals helps steer Academy initiatives and programs, including internships and other field experiences.